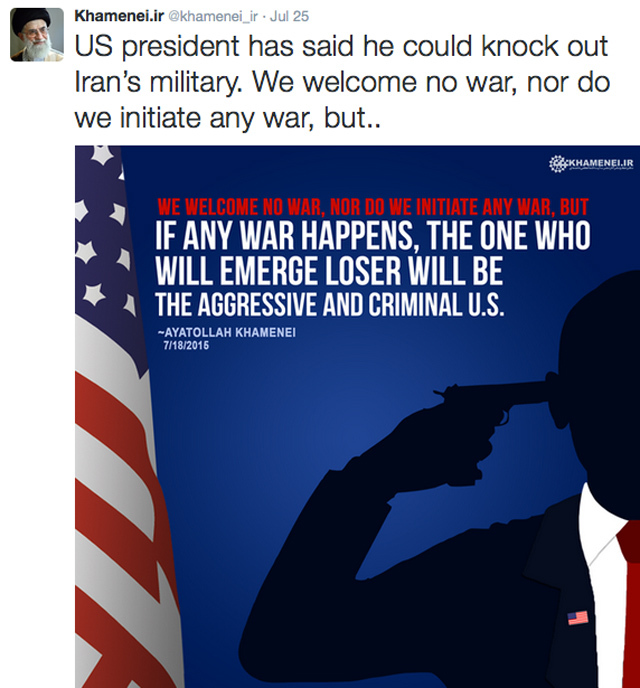 Yesterday it was the silhouetted image of President Obama with a gun to his head. Last Saturday it was a rally featuring “Death to America!” chants. 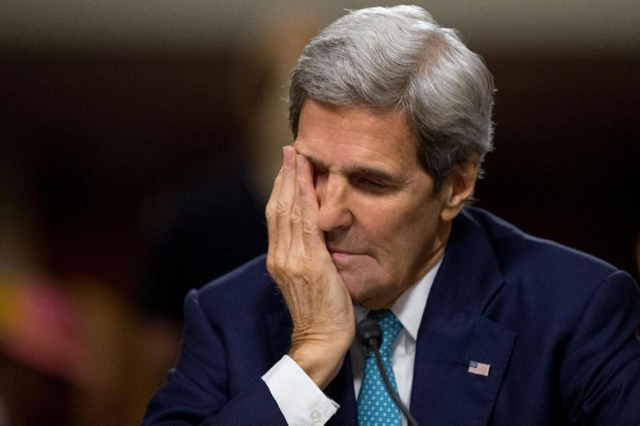 In response to Iran’s “supreme” leader saying the Middle Eastern nation would continue to undermine U.S. foreign policy in the region, Mr. Kerry was left dumbfounded. U.S. Secretary of State John Kerry said a speech by Iranian Supreme Leader Ali Khamenei on Saturday vowing to defy American policies in the region despite a deal with world powers over Tehran’s nuclear program was “very troubling”. The Obama administration declared victory in Libya (Remember Hillary Clinton’s interview with CBS? : “We came. We saw. He died. Haha!”) The Obama administration pulled all U.S. troops out of Iraq and said our work was done there. The Obama administration declared relations with Russia were “reset.” The Obama administration declared it had a chemical weapons deal with Bashar al-Assad in Syria. The Obama administration said Yemen was proof that its foreign policy was working. Question: How did all of those foreign policy successes work out? Answer: Libya is a terrorist jungle gym. The Islamic State now controls large swathes of Iraq. Russia annexed Crimea and continues to support Russian separatists in eastern Ukraine. Assad never gave up all of his chemical weapons and the White House now weirdly uses the defense that chlorine isn’t “historically” a chemical weapon. Yemen’s president resigned and literally ran for his life from Islamic “Death to America!”-chanting radicals. The “peace at any cost” mentality is a sure recipe for war. Unfortunately, Mr. Obama and his administration will be long gone when the bitter fruit of his foreign policy comes to market. Another man (or woman?) will be commander in chief when that happens. That individual will then be forced to take political lumps — and send U.S. troops into harm’s way — because Mr. Obama vouched for “deals” with leaders who attend “Death to America!” rallies. One must wonder just how bizarrely belligerent Iran must become before members of the Obama administration admit that maybe — just maybe — they made a deal with dishonest brokers.